MySQL databases are an important aspect of your web server. With VestaCP is very easy to create databases and users. Navigate to the DB section then click the ‘Add Database’ button. 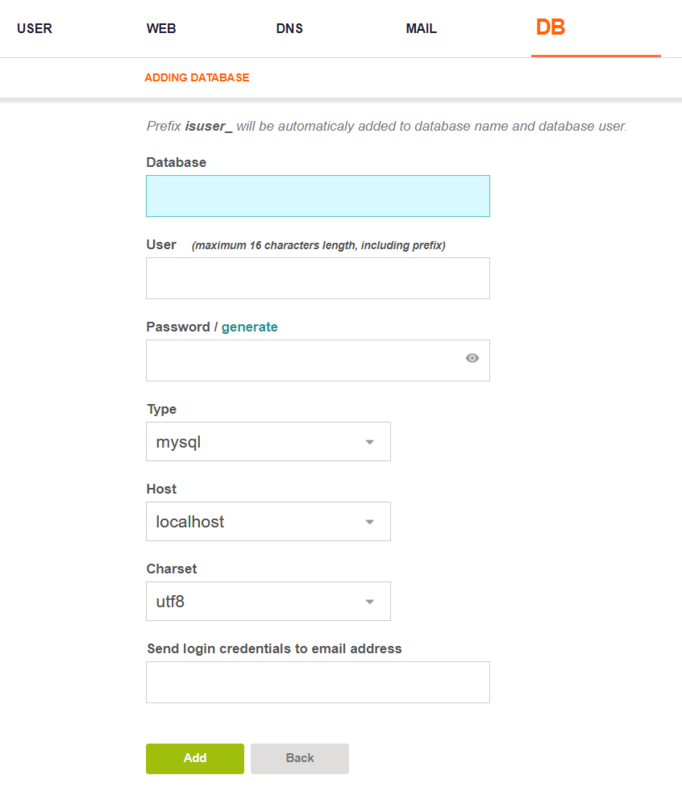 Now enter the database name, user and password and click ADD DATABASE. Note: If you enter a database name as ‘wp’, the username will be added automatically as a prefix. That is, database name would become isuser_wp. The same applies to the username.